ProFlex Spiral Nylon Anchoring Spikes can be used with ProFlex No-Dig Edging products and can be used for many additional landscape anchoring applications. The nylon spiral spikes are made from heavy duty plastic composite and are very durable for both residential and commercial anchoring applications. ProFlex Spiral Landscape Spike Pack includes 8 nylon spiral spikes, each 8 in. long. When it comes to outdoor surfacing solutions, EZ Rubber has you covered. This easy product allows you the create a customized surface that can be applied directly to concrete, asphalt, wood and steel. With two neutral colours, DIY yourself a path, a bistro area, a basketball court or whatever makes your outdoor space 'yours'. Fill joints between interlocking pavers and slabs! Use SAKRETE Polymeric Sand, a unique mixture of polymer binders and calibrated sand, available in Beige or Grey. Available in 15.9 KG bags. Go with SAKRETE, The Pros Choice since 1936. Anchoring Spike Packs ProFlex Spiral Nylon Anchoring Spikes can be used with ProFlex No-Dig Edging products and can be used for many additional landscape anchoring applications. The nylon spiral spikes are made from heavy duty plastic composite and are very durable for both residential and commercial anchoring applications. 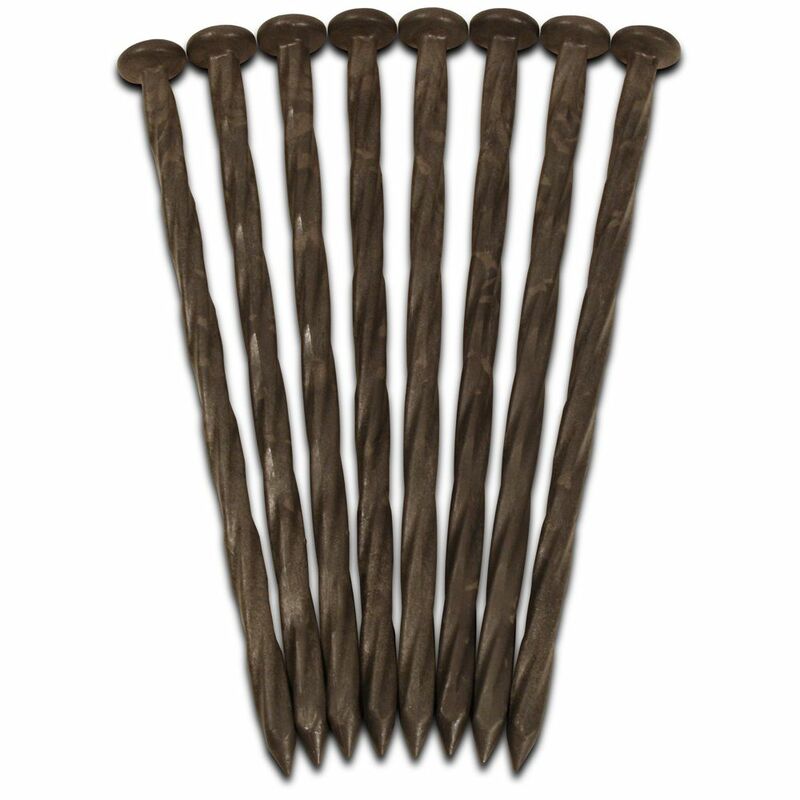 ProFlex Spiral Landscape Spike Pack includes 8 nylon spiral spikes, each 8 in. long.